G-Scale is another name for Garden Railroading. Basically it is a large scale train that can run outside in your garden. In rain, sun and snow! It's a hobby that can involve the entire family and can be as challenging or simple as one wishes it to be. A railroad built outdoors takes on a realism that nothing else can match. Outdoors, you are dealing with real life. Mountains made out of dirt, ponds or streams with water, rocks, shale, slate, lava, tufa. This can be both a blessing and a curse. Washouts can cause problems, snow can stop trains and trees and branches can fall on the track. As a general rule in building a garden railroad, less is more. Outdoors we are dealing with the elements, a single-track mainline usually suffices, with sidings at stations, industries, points of interest and perhaps a branch line to an outlying terminal. To get started, a single locomotive and three or four pieces of rolling stock - freight or passenger - are all you really need. 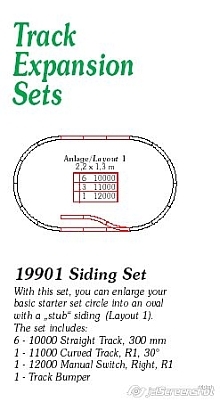 The easiest and most economical way to get started is with Starter Sets. 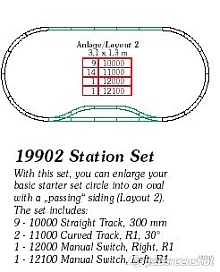 All Starter Sets come with an engine, a transformer (power source), cars (non motorized rail cars), and a circle of track. One engine can pull at least 10 cars on a flat surface. After you get your basic set up, you can expand your railroad empire with more track, switches, buildings, and sound.